We realize that our customers and their loyalty are the reason we exist. We make your satisfaction a priority so that your loyalty will never be compromised. Unsurpassed braking power where and when you need it. For Cable Stringing Equipment, Construction Equipment, Industrial Machinery and Logging Operations; Stockbridge Engineering Inc. provides braking power that never lets you down! Stockbridge Engineering, Inc. is a leader in the brake manufacturing industry and we work hard to continuously improve, develop, and produce the best braking system in the industry, while becoming an employment leader in our community. Serving any industries braking needs. In a world where nothing is certain, our customers depend on the best quality of brakes in order to ensure the safety of their business. 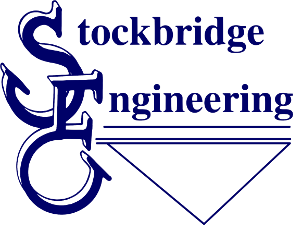 Stockbridge Engineering, Inc. (SEI) has developed a reputation for providing the necessary safeguards to ensure that you can be as productive and effective tomorrow as you were yesterday.